The Arawak are a group of indigenous peoples of South America and historically of the Caribbean. Specifically, the term Arawak has been applied at various times to the Lokono of South America and the Taíno, who historically lived in the Greater Antilles and northern Lesser Antilles in the Caribbean, all of whom spoke related Arawakan languages. The term Arawak originally applied specifically to the South American group who self-identified as Arawak or Lokono. Their language, the Arawak language, gives its name to the Arawakan language family. Arawakan speakers in the Caribbean were also historically known as the Taíno, a term meaning good or noble that some islanders used to distinguish their group from the neighboring Island Caribs. In 1871, ethnologist Daniel Garrison Brinton proposed calling the Caribbean populace "Island Arawak" due to their cultural and linguistic similarities with the mainland Arawak. Subsequent scholars shortened this convention to "Arawak", creating confusion between the island and mainland groups. In the 20th century, scholars such as Irving Rouse resumed using "Taíno" for the Caribbean group to emphasize their distinct culture and language. The Arawakan languages may have emerged in the Orinoco River valley. They subsequently spread widely, becoming by far the most widely spread language family in South America at the time of European contact, with speakers located in various areas along the Orinoco and Amazon rivers and their tributaries. 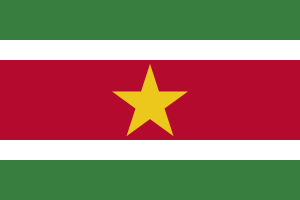 The group that self-identified as the Arawak, also known as the Lokono, settled the coastal areas of what is now Jamaica, Guyana, Suriname, Curaçao, French Guiana, Grenada and parts of the island of Trinidad and Tobago. At some point, the Arawakan-speaking Taíno culture emerged in the Caribbean. Two major models have been presented to account for the arrival of Taíno ancestors in the islands; the "Circum-Caribbean" model suggests an origin in the Colombian Andes, while the Amazonian model supports an origin in the Amazon basin, where the Arawakan languages developed. 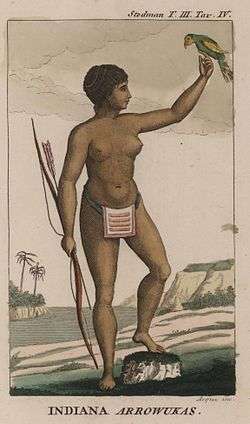 The Taíno were among the first American people to encounter Europeans when Christopher Columbus visited multiple islands and chiefdoms on his first voyage. It was at this time they experienced European colonization, and their population declined precipitously as a result. Suffering from war, disease, and slavery, the Taíno population had declined to a few thousand by 1519 and by the end of the century, they had disappeared as a distinct ethnic group. The Taíno have been extinct as a distinct population since the 16th century, though many people in the Caribbean have Taíno ancestry. A 2003 mitochondrial DNA study under the Taíno genome project determined that 62% of people in Puerto Rico have direct-line maternal ancestry to Taíno/Arawakan ancestors. There are about 10,000 Lokono living primarily in the coastal areas of Venezuela, Guyana, Suriname, and French Guiana, and many more Lokono descendants throughout the region. Unlike many indigenous groups in South America, the Lokono population is growing. John P. Bennett - (Lokono), first Amerindian ordained as an Anglican priest in Guyana, linguist and author of An Arawak-English Dictionary (1989). 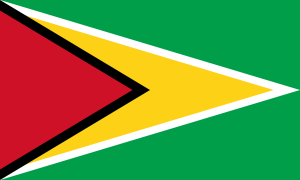 Stephen Campbell - (Lokono), first Amerindian Member of Parliament in Guyana. George Simon - (Lokono), artist and archaeologist from Guyana. 1 2 Rouse, Irving (1992). The Tainos. Yale University Press. p. 5. ISBN 0300051816. Retrieved 16 June 2015. ↑ Hill, Jonathan David; Santos-Granero, Fernando (2002). Comparative Arawakan Histories: Rethinking Language Family and Culture Area in Amazonia. University of Illinois Press. pp. 1–4. ISBN 0252073843. Retrieved 16 June 2014. ↑ Olson, James Stewart (1991). The Indians of Central and South America: An Ethnohistorical Dictionary. Greenwood. p. 29. ISBN 0313263876. Retrieved 16 June 2014. ↑ Rouse, Irving (1992). The Tainos. Yale University Press. pp. 30–48. ISBN 0300051816. Retrieved 16 June 2014. ↑ Olson, James Stewart (1991). The Indians of Central and South America: An Ethnohistorical Dictionary. Greenwood. p. 30. ISBN 0313263876. Retrieved 16 June 2014. ↑ "Exploring the Early Americas". ↑ Hill, Jonathan David; Santos-Granero, Fernando (2002). Comparative Arawakan Histories: Rethinking Language Family and Culture Area in Amazonia. University of Illinois Press. pp. 39–42. ISBN 0252073843. Retrieved 16 June 2014. ↑ Olson, James Stewart (1991). The Indians of Central and South America: An Ethnohistorical Dictionary. Greenwood. pp. 30, 211. ISBN 0313263876. Retrieved 16 June 2014. ↑ Olson, James Stewart (1991). The Indians of Central and South America: An Ethnohistorical Dictionary. Greenwood. p. 211. ISBN 0313263876. Retrieved 16 June 2014. Handler, Jerome S. (Jan 1977). "Amerindians and Their Contributions to Barbadian Life in the Seventeenth Century". The Journal of the Barbados Museum and Historical Society. no.3. Barbados: Museum and Historical Society. 33: 189–210.